Who doesn't love a good Miata??!! One Owner ! Clean Carfax ! Only 17,800 miles ! Skyactiv Technology ! Automatic with Paddles ! Soul Red Metallic Exterior ! Black Interior with Red Stitching ! Carbon Fiber look interior trim ! 8 spoke factory wheels ! Navigation ! AM-FM-CD ! Pandora ! XM and More ! Heated Seats ! Push Button Start ! Sport Steering Wheel with Controls ! Homelink ! Books and Extra Key ! Just Serviced ! 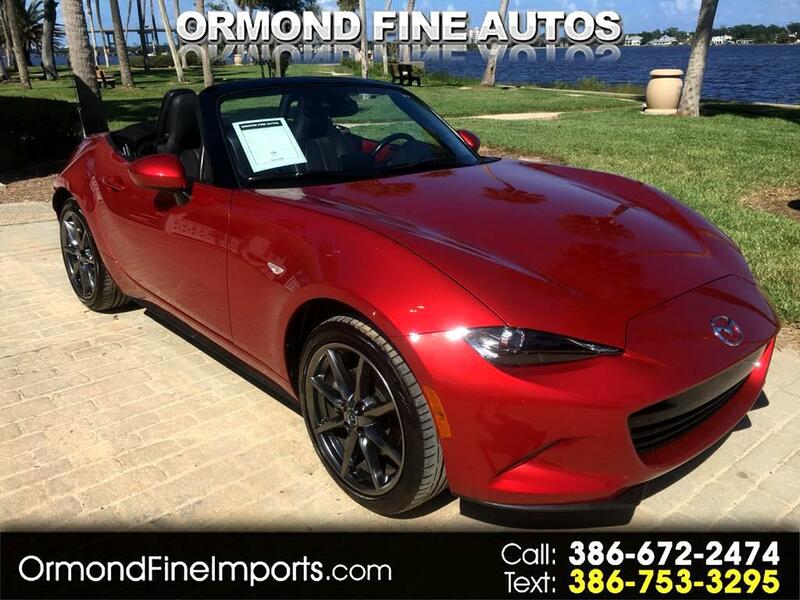 By sticking to its economical rear-wheel drive sports convertible roots and remaining relatively close to its classic roadster design over the course of nearly three decades, the two-seat Mazda Miata MX-5 has achieved icon status among driving enthusiasts!! The top-of-the-line Grand Touring trim that we tested starts at $30,065 with a manual transmission, and $31,270 with an automatic. It also comes with 17-inch Dark Silver aluminum alloy wheels, automatic climate control, leather-trimmed and heated seats, rain-sensing windshield wipers, body-colored side mirrors, a navigation system, a cloth-lined convertible top, automatic and adaptive headlights with auto high beams, and a host of driver assist system, including blind spot monitoring, rear cross traffic alert, and lane departure warning!! Message: Thought you might be interested in this 2016 Mazda MX-5 Miata.